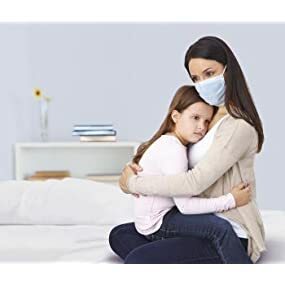 Whether you are caring for your sick family members or are looking to protect your own health, the Curad Antiviral Facemask will give you the protection you need, working hard to keep harmful germs away from you and your loved ones. What is the Curad Antiviral Facemask? 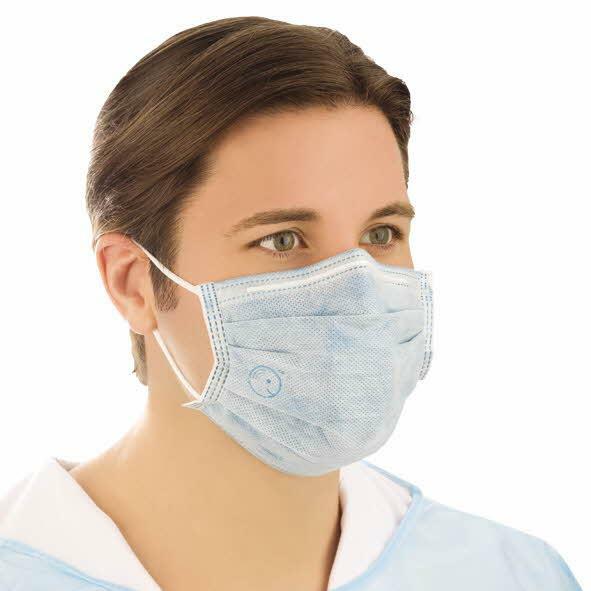 The Curad Antiviral Facemask is the industry’s first and only FDA cleared antiviral facemask. The mask is highly unique compared to all other masks in that it works to inactivate 99.99% of lab tested Influenza A and B viruses within five minutes contact. The mask incorporates trace amounts of t3 powerful yet safe ingredients – citric acid, copper and zinc, all of which are toxic to harmful pathogens and perfectly safe for humans. Citric acid on the outer surface of the mask quickly wicks droplets away from the surface and begins to inactivate active viruses contained in cough and sneeze droplets. As contaminated droplets move through the outer surface, viruses hit the second layer of the mask where they are trapped. Copper and zinc ions embedded in the mask attack and destroy trapped viruses, leaving the mask clear of 99.99% of Influenza A and B viruses. When should I Use the Curad Antiviral Facemask? Harmful viruses can spread quickly through coughing and sneezing, putting individuals and the surrounding environments in the direct path of these germs. Parents or caretakers of young and/or sick children can help prevent the spread of germs by wearing the antiviral mask. Similarly, caregivers of the elderly, ill, or immune compromised patients can help protect those individuals by wearing the mask. The Curad antiviral mask is safe to use and is the only mask that will protect to a higher degree by inactivating harmful and contaminating viruses. What are the proper guidelines for wearing a facemask?